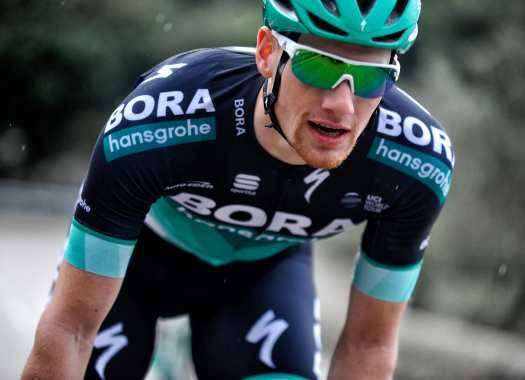 Sam Bennett of Bora-hansgrohe took his third stage victory at the Giro d'Italia by beating Elia Viviani on the streets of Rome. The Irishman was well positioned in the last kilometers and surpassed his Italian rival Viviani at the last moment to take another victory, which came after a difficult week for the rider. "The last two days I was suffering so much. I went too deep in the first week and a little bit in the second week and I paid for it in the last two days," he said. "It was mainly down to the teamwork today. They did an amazing job. When that break went in the final lap they went eyeballs out and I can't thank them enough. They were amazing." Bennett doesn't think that his results in this Giro will change the way he sees himself, and is already looking at what may come next. "I'm still the same guy. I still have to get back up tomorrow and set new goals and keep the focus, not letting it get to my head. "I don't know how my shape will be for the nationals but it would be a dream to have the national champion's jersey and to really represent the national colours on the big stage like this."